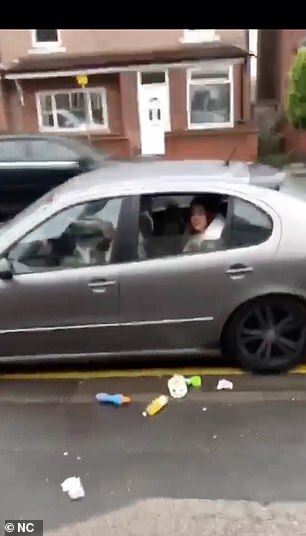 A shopkeeper has been captured on camera confronting a woman sitting in a parked car outside his business and accusing her of shamelessly dropping litter through the window. 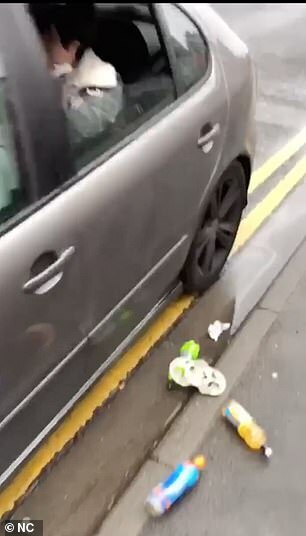 When she and the two men she was travelling with refused to clear up the mess, he launched an expletive-ridden tirade at the group – branding them ‘scruffy c****’ and threatened to report them to the council. 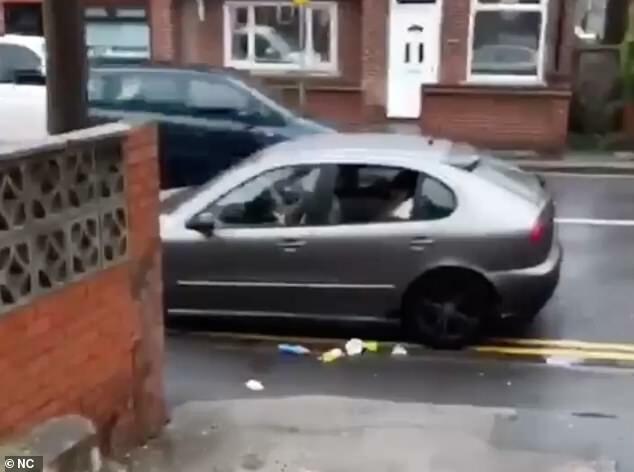 Footage of the confrontation – which happened in Doncaster, South Yorkshire, emerged on Facebook earlier this week and was shared hundreds of times. She smiles as he approaches and does not answer. 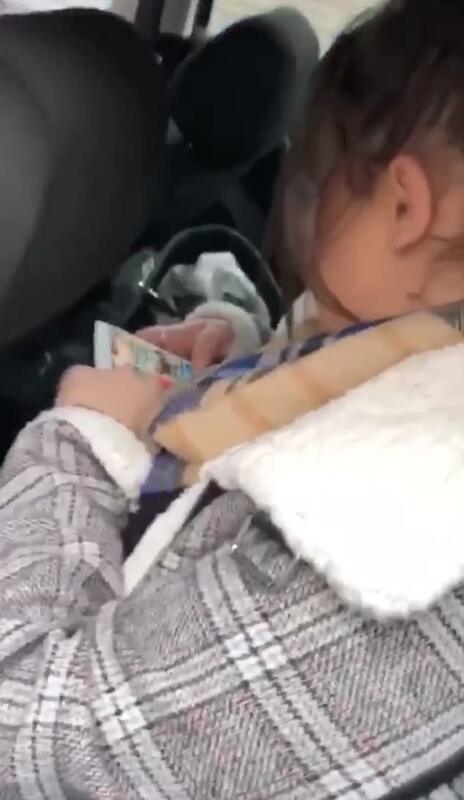 But still she ignores him and turns away to use her phone. He then walks in front of the car to film the number plate, prompting the driver to challenge him. Losing his cool, he confronts the woman again who is still tapping away on her phone and calls her a ‘f****** slob’. But when nobody in the car moves a muscle the exasperated shopkeeper finally gives up and walks back towards his store. Doncaster Council has been approached for comment.